New Ipswich boss Paul Lambert watched from the stands as Lee Gregory's two goals inspired Millwall to an easy 3-0 win at The Den. Gregory's two close-range strikes and a longer-range effort by Ryan Leonard gave the hosts their third home win in a row. The Tractor Boys have won only once all season, a disastrous run that has dumped them at the foot of the Championship table and cost Paul Hurst his job on Thursday. But even the presence of his successor in the stand could not inspire Town to avoid a fourth defeat in five games. Lambert, once the manager of Ipswich's great rivals, Norwich, will take over from caretaker Bryan Klug next week. And he will know there is a lot of work to do. Ipswich were toothless in attack and brittle in defence, conceding twice from set-plays. Yet they began the game by playing some tidy football, with 19-year-old Flynn Downes seeing plenty of the ball. 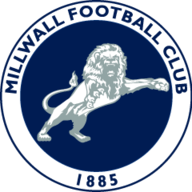 But they could not find the final pass that it deserved, and Millwall rode out the storm and began to get on top. Shaun Williams went down in the penalty area as he tried to bulldoze his way between defenders but referee Robert Jones waved away penalty claims. And Leonard saw his volley from 18 yards miss by inches after he had chested down a clearance. The goal Millwall had been threatening arrived after 26 minutes. 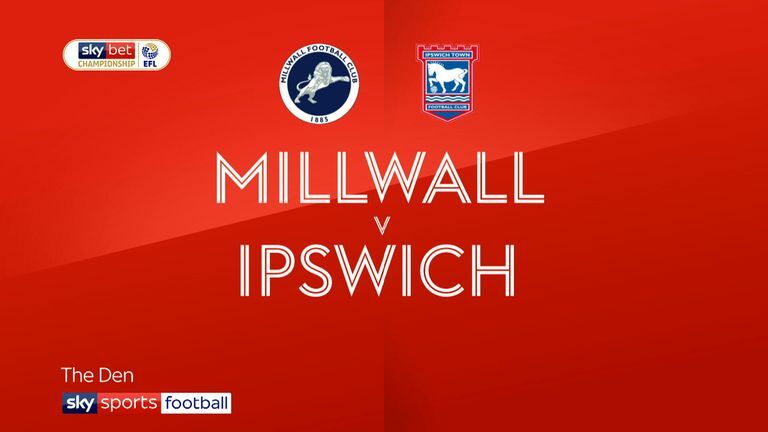 No Ipswich defender took charge when Jake Cooper nodded back Williams' corner from the left, and Gregory pounced on the loose ball to score from three yards. It should have been 2-0 five minutes later when Shaun Hutchinson half-volleyed across the face of goal with two team-mates just unable to get a decisive touch. And the busy Williams forced a good save from Bartosz Bialkowski with a glancing header from eight yards. A second Millwall goal had to come and this time it was a long throw-in by Leonard after 50 minutes that was nodded on by Cooper for Gregory to flick home from close range. 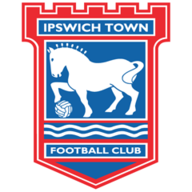 Ipswich skipper Luke Chambers gifted them the third after 70 minutes when he collided with goalkeeper Bialkowski as both went for a cross, giving Leonard the chance to chip the ball into an empty net from 22 yards. Trevoh Chalobah went close for the visitors two minutes from time with an angled shot that hit the near post, the closest they came all afternoon to an effort on target. Neil Harris: "I think it has been due with our performances, although that wasn't our best. I thought it was extremely professional. We could have played better when we were 3-0 up but I don't give a damn about that - I wanted a clean sheet and the defenders and team wanted a clean sheet. "It wasn't easy for Ipswich in the position they are in and with the transition to a new manager here today but it wasn't easy for us either. You are not sure who you are going to face. But without being at our best we were clinical and to give up very few opportunities was a very good performance in the Championship"." Ipswich caretaker manager Bryan Klug: "Paul was at the game. We train tomorrow and the work starts. He will see things that he can grow and he will see things that he can eradicate. A lot is blatantly obvious. I think for the players a clean slate is what they want. They realise they have a manager with an experienced eye so they have got to impress him. "The game would show all our problems and all our shortcomings. I thought we were in the game, but Millwall always carried a much bigger threat than us."